Ross Stewart in action for St Mirren against Alloa. Ross County have confirmed the signing of striker Ross Stewart from St Mirren. The 21-year-old has scored one goal in four appearances for the Buddies this season. He spent time at Alloa last term, netting 10 goals in 23 appearances. Staggies co-manager Stuart Kettlewell, said: “We are delighted to announce the signing of Ross Stewart. “Ross is a young player who has scored goals in his progression through the Scottish leagues and has attracted our attention as we feel he could have an impact on our first team squad. 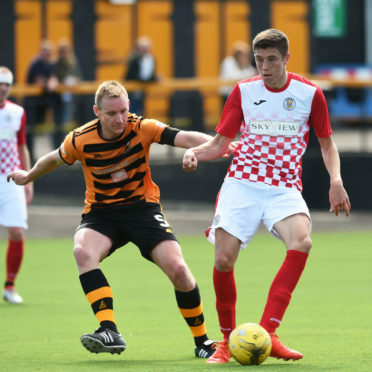 Stewart could make his County debut against Dunfermline tomorrow.